A catalogue of the Loft Extensions carried out by Mark Titman. Completed loft extension (and rear extension) on Nithdale Road. The proposal is to build an extension on the rear and rear side of a terraced three bedroom house and to convert the outrigger loft into a bedroom and the main loft into a playroom. Render of proposed loft conversion to 78 Heathwood Gardens - Greenwich, London. The proposal is for a loft conversion to the rear of the main house and on top of the outrigger roof. Render of internal perspective for 29 Caterham Road loft conversion. 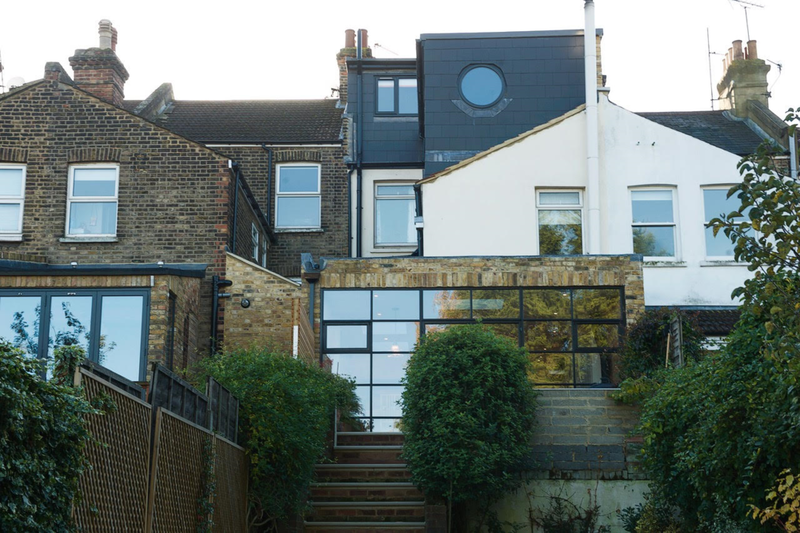 The proposal is for a loft conversion of a large loft space in a semi-detached Edwardian house of grand character situated in the Belmont Conservation Area. Completed loft extension & en-suite for 16 Wyndcliff Road. The existing property is a Victorian terraced 3 bedroom house that is in need of refreshing throughout and creation of a loft conversion with dormer window (similar to those as can be seen along the street) and a rearrangement of the bedrooms and stairs on the first floor.